Petit theft is most commonly referred to as shoplifting. It implies that something of a relatively small value was stolen from either a store or from someone's personal possession, like their house, car, bag, etc. Theft crimes are particularly nasty to have on one’s record, because it tells future employers that that person has been caught stealing and cannot be trusted as an employee. Juveniles are known to make mistakes, be incapable of fully understanding the gravity of and consequences associated with their actions, and they are also far more likely to be rehabilitated and corrected than their adult counterparts. Petit theft is the third most common juvenile crime in the state of Florida. The Broward County juvenile criminal defense lawyers at The Ansara Law Firm understand that kids make mistakes and law enforcement is quick to catch them in their mistakes. The court wants to make sure they these juvenile do not repeatedly offend, and no parent wants to see their kid go to jail. That’s where we come in. We fight on behalf of your child in court to ensure that the court feels sympathetic to the point where jail time and scars on a misguided teenager’s permanent record seem excessive. There are other ways to teach them a lesson, and we fight vehemently to ensure that juvenile clients walk away from the experience with as few legal consequences as possible so that their lives are not impeded by the heavy hammer of the law. Juvenile petit theft ranges in severity based on the assessed monetary value of the stolen property. The lowest level of petit theft is the level in which property stolen was estimated to be valued at $100 or less. A crime committed under these circumstances is charged as a misdemeanor of the second degree, punishable by a maximum of a $500 fine, and/or no more than 60 days in jail. This is a very common scenario for juvenile offenders. As an example, a minor under the age of 18 will walk into a convenience store, select some candy or a soda and walk out without paying for the merchandise and get caught by law enforcement, or they will select merchandise from a retail clothing outlet and leave without paying. These are almost always sent to juvenile court if it is committed by a minor under the age of 18 and if this is their first offense with no aggravating factors at play. Juvenile petit theft of the first degree occurs when a minor under 18 steals property that is valued as being more than $100 but less than $300. This offense is charged as a misdemeanor of the first degree, punishable by up to one year in jail and/or a fine of $1,000. The juvenile sentences are much less severe, most likely mandatory restitution, a pre-trial diversion program, counseling, or probation. In cases of theft in which the rightful owner of the property would like to be paid back, the court could order the juvenile to find employment and earn money to pay back to the person that had their property stolen. The ramifications associated with any kind of theft charges, including petit theft go far beyond the courthouse. Even when the sentences are completed, having to admit to employers that you have been charged with a theft crime is an automatic red flag to employers that you cannot be trusted. Most jobs require that you oversee merchandise, information or some other kind of specialized commodities that require a certain inherent degree of trust to do the job correctly. When they see a theft charge, it tells them that you are self-serving, deceitful and not to be trusted, regardless of what actually happened. This is why it is absolutely crucial that you retain an attorney to defend your reputation with the law. Especially if you are a juvenile, this one case can literally make or break your future. Don’t leave the quality of your adult life up to the judge; call our attorneys immediately to discuss your case. 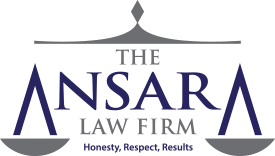 If you, your child, or the child of a friend or loved one have recently been charged with juvenile petit theft, call The Ansara Law Firm immediately at (954) 761-4011 to schedule a free initial consultation to discuss your legal matter.